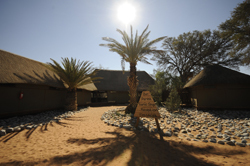 Namib Naukluft hotels, accommodation and places to stay. Guide to where to visit and where to stay in Namib Naukluft Namibia. Information on Namib Naukluft Namibia, location of hotels, lodges, camp sites, guest houses, bed and breakfasts and places to stay in the Namib Naukluft area of Namibia. 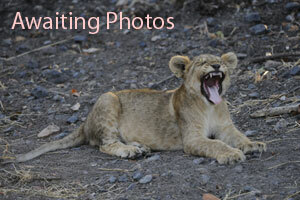 Distances from major attractions to Namib Naukluft and information about shops, fuel and facilities. 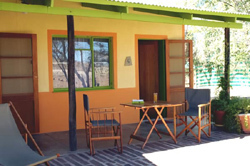 This page lists lodges, guesthouses, camping and hotels in the mountain area on the edge of the Namib Desert, for accommodation closer to Sossusvlei please see the Sesriem Hotel page. A self catering house in the desert on the south Namib rand reserve, with spectacular views over the vast plains and ancient blue mountain ranges. Peace and tranquility are guarenteed! 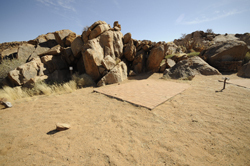 The lodge (with it’s uniquely structured semi-subterranean rock igloos) is built on the slope of a hill overlooking the north the Rotstock Mountain range and in the southwest the colourful dune landscape of the Namib Desert (Namibia). 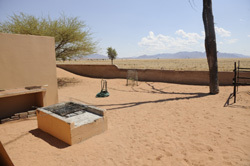 The Rostock Ritz Campsite is one of Namibia’s most unusual campsites, 4 Individual campsites are available, each with own BBQ/fireplace and a water tap. Wüstenquell is a family run operation with a personal touch, that is surrounded on 3 sides by the well-known Namib Naukluft Park. 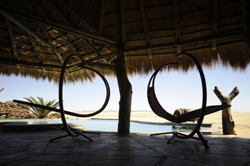 Come and enjoy breakfast in a breath-taking landscape, scenic drives, guided tours, a relaxing afternoon at the crystal clear pool or dinner next to the campfire under the incredibly clear Namib firmament. The Bullsport Guest Farm offers 6 Twin-bed Luxury rooms, 1 x 4 bed family room, 1 Triple and 6 standard Double or Twin rooms, all with en-suite facilities and a crystal clear pool, library, self-service bar and a large garden with safe parking. The afternoon coffee and cake and wholesome cuisine is offered at the big family table before you are taken out on the afternoon game & nature drive. The unique Tsauchab River Camp guest farm with its exclusive chalets and private camping sites is situated on the banks of the Tsauchab River, surrounded by the imposing Naukluft and Tsaris Mountains.